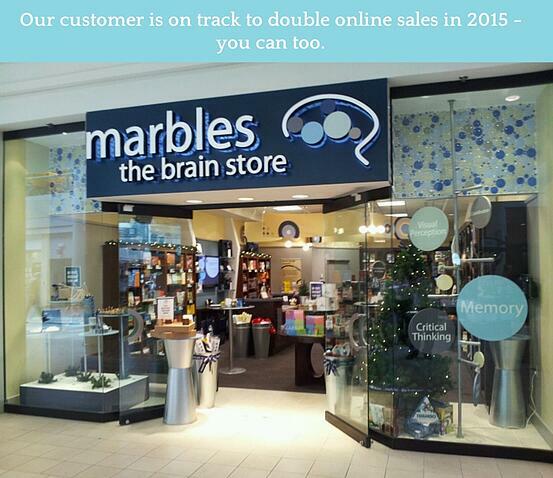 We're excited to see this feature on Internet Retailer detailing the successful E-commerce strategies being utilized by one of our customers, Marbles: The Brain Store! Marbles was one of our very first customers, and a heavy user of Salsify (check out our Case Study to learn more.) It's great to see them have this kind of success! The increased investment appears to be paying off. Seaman says the retailer is on track to more than double its online sales in 2014, projecting around $5.4 million in web sales this year, or roughly 25% of the company’s overall revenue." Marbles uses Salsify to manage their content, publish it to ShopVisible, and onboard new items from their suppliers. We love working with Angie and her team and we could not be happier to see them receiving Internet Retailer's recognition for their innovation and hard work. When we met Angie she was frustrated by everything about onboarding, managing, and pushing out their product information. The system became inefficient and burdensome as the business grew: communication between departments became difficult and product information was often lost along the way, resulting in wasted time and redundancies for both Marbles and their suppliers.